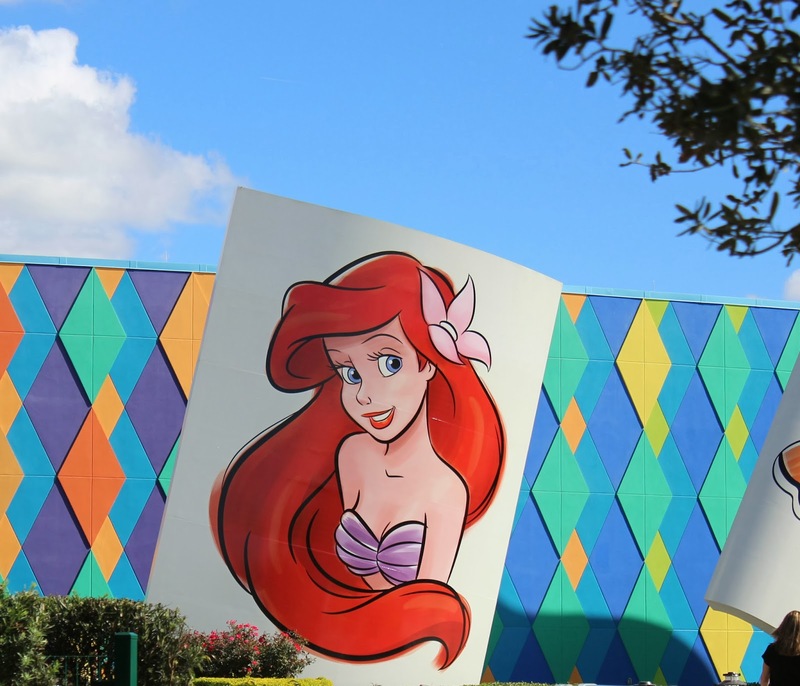 Our whirlwind Florida vacation has come and gone and now I finally share it with you! Driving up to the Art of Animation is instantly impressive. The signs are beautiful and the landscaping is incredibly inviting. 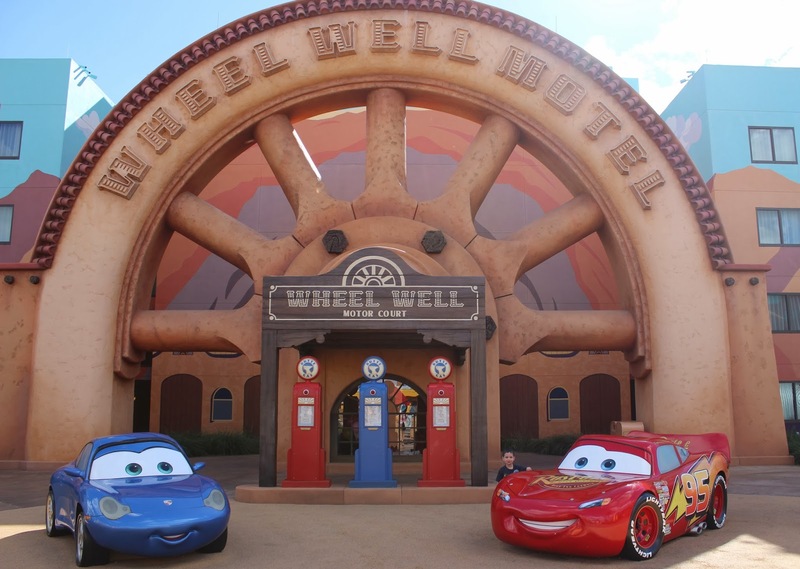 It's hard to remember that this is another 'value' resort, despite the large theming. Instead of larger than life object, it's larger than life themes and paintings! The reception area is breathtaking - not in the Grand Floridian -so fancy - sort of way, but in the "WOW look at this" with sketches of animation and great lighting to set the mood.... but somehow I missed taking pictures of the inside! Shame on me! We had our Magic Bands ready, they scanned them quickly, and had us checked in fairly quickly! Even with lines, they have agents walking around helping people get checked in with efficiency that only Disney can maintain. Our room was ready upon arrival, and they showed us a map of the resort, directing us to "Follow the EAC, turn right onto Route 66, and continue on to the Wheel Well Motel." The boys ran from car to car, visiting all of the Radiator Springs friends on their way - both of them (and us) enthralled with everything about this resort. I had been warned that the rooms were not very large, but honestly, they were plenty large enough for the 4 of us! And, like the rest of the resort, so beautifully themed! I absolutely loved the decor in our resort - everything in the Wheel Well was colored and themed to fit in - even the elevator carpet. They didn't miss a single detail! Z went straight for the tv - he wanted to watch Mickey! And the car-style kitchenette - microwave, kitchen, plates, bowls, silverware, coffee maker, sink - perfect. Noah LOVED his bed - it had lights on it, but also paintings and it was so creative. And comfortable! Our bed was surprisingly comfortable as well. Even though we are acclimated to a king, the comfort level of the bed made up for the size! Our first day we took advantage of the pools - both the Finding Nemo AND the Cozy Cone pools. The Finding Nemo pool was slightly overwhelming for Z, but Noah had a blast. Z and I stopped by the Coze Cone pool on our way back to our room and he much preferred the smaller, less crowded and noisy pool. Noah actually enjoyed a dip in the smaller pool as well! The Finding Nemo pool has jellyfish fountains (as pictured), a smaller splash area, and a gigantic pool with games and entertainment throughout the day. The cones at this pool are personal cabanas! Such a clever use of the cozy cone motel! We absolutely loved this resort. The food at the Landscape of Flavors was great (for breakfast - we didn't have a chance to eat other meals here on this trip) with a lot of options (including fresh fruit, yogurt, flax seed - parfait! You choose!) for everyone. Unfortunately, due to the popularity, discounts are often null and void at this resort (military are valid for the suites, but not the Little Mermaid rooms). However, I have to say this it is worth the cost if it's close and an affordable option!! Our boys ran from car to car every day for the 4 days we were there - it didn't get old - and we all loved it! If you would like a quote for Disney's Art of Animation, or any Disney resort/cruise, please email me at JennL@thewdwguru.com for details!! Every booking includes extras such as itinerary planning, dining recommendations, and so much more! And, we are currently giving away a great Guru bag filled with goodies for everyone in your travel party with every reservation! It really does have some incredible detail - I really loved that resort! Agreed! 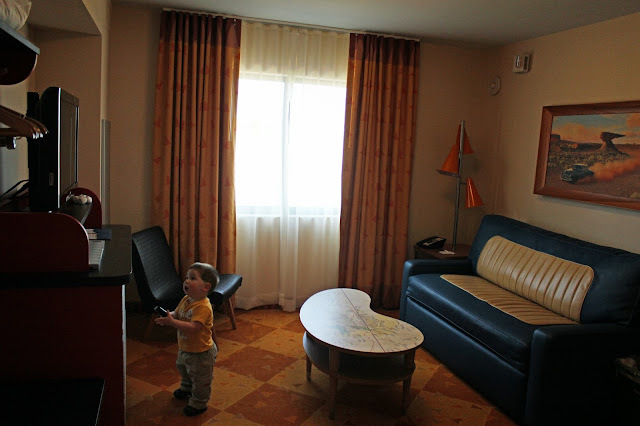 My boys are much older than yours - 11 and 14 - and we still loved our Cars Family Suite and the resort in general. We transferred there from a Yacht Club room we were in during a conference. 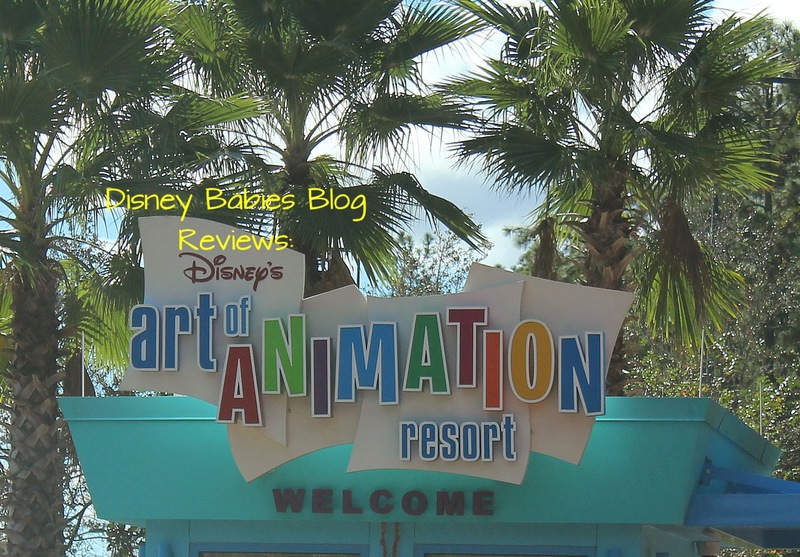 While we loved walking to Epcot and Hollywood Studios from the Yacht Club, we may have enjoyed AoA more because we had more breathing room (the boys especially appreciated not sharing a bed). Our first night at AoA, I did laundry while lounging in a Cozy Cone cabana. So fun! Dinner at Landscape of Flavors was better in terms of variety and freshness than I remember from Caribbean Beach's food court in 2011.